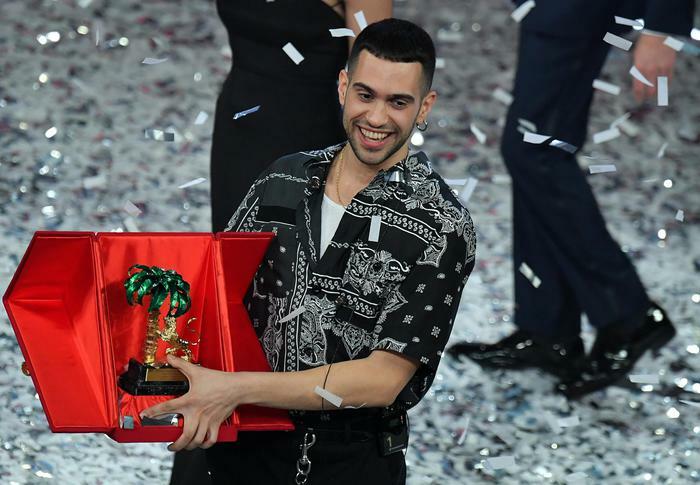 Following five exciting nights of performances, Mahmood was crowned the winner of the 69th edition of the Sanremo Music Festival, for his song ‘Soldi’ (Money). The 27-year-old emerged victorious after a tight showdown with fellow finalists Ultimo, who came in second, and 2015 Sanremo victors Il Volo, awarded third. Mahmood will go on to represent Italy at the Eurovision 2019 contest in Tel Aviv, as confirmed by the official Eurovision Twitter account just moments after the singer’s victory. “I still haven’t digested it properly,” Mahmood said in a press conference following the festival. “For me just participating was a victory! Mahmood was forced to answer questions about his identity just moments after the win. ‘‘I think the audience liked the international sound of my piece,” he said. “Music is subjective and everyone can listen to whatever they want. “But I am born in Milan and I am 100 per cent Italian. Mahmood was born Alessandro Mahmoud in Milan in 1992, to a Sardinian mother and an Egyptian father. In 2016 he participated in the Newcomers Section of Sanremo with the song Dimentica. As a songwriter, Mahmood has written for Elodie, Michele Bravi and Marco Mengoni, who represented Italy at Eurovision 2013. In 2018, he released his first EP Gioventù Bruciata which secured his participation at Sanremo 2019 via the newcomers’ competition, Sanremo Giovani 2018, where he also received the Critics Award. Mahmood out-sang 23 other performers in this year’s Sanremo competition. Salvini’s ex-girlfriend and Italian television host Elisa Isoardi was one of many celebrating the victory. “Proof that the meeting of different cultures creates beauty,” Isoardi tweeted.